Levi Johnston running for Wasilla mayor? It’s a good thing Levi Johnston doesn’t have a wedding to plan with Bristol Palin anymore. It seems that Johnston will be too busy running for office in Wasilla, Alaska. A report posted on Variety Magazine’s website that Levi Johnston was planning to run for city office in his hometown of Wasilla, Alaska, was confirmed by his manager, Tank Jones. Part of the report is also claiming Levi Johnston will document his run for office as part of a new reality show. No word on whether he will run for mayor or city council has been released. Wasilla, Alaska is also home of former governor Sarah Palin, who also happens to be the mother of Johnston’s ex, Bristol Palin. Ironic, isn’t it? Tank Jones released this statement in regard to Levi Johnston’s seriousness in running: “Let me put it to you like this. If you live in a town and things are happening in that town, and you’re displeased with it, what do you do? You try to change those things,” Jones said. Is Levi Johnston running for mayor a clever hoax or the real deal? According to Jones, it’s as real as it gets. “This is not a spoof. This is not a joke,” Jones assured. 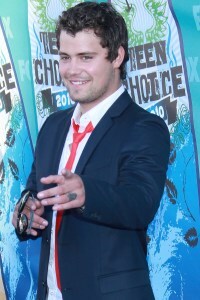 From any point of view, Levi Johnston running for office seems a long shot. The next mayoral election is in 2011, according to the Wasilla city clerk. Candidates for elections taking place in October 2010 would need to have registered by July 30, and Levi Johnston’s name was not listed among the candidates — interesting indeed. The real question we should be asking ourselves is if we can take this guy seriously. Johnston just ended his second engagement to Bristol Palin over rumored baby mama drama and infidelity, posed in Playgirl and mocked the family he was once a part of. The 20-year-old Johnston is the father to Bristol Palin’s son, Tripp. Stay tuned for more information on Levi Johnston’s official run for Wasilla office.